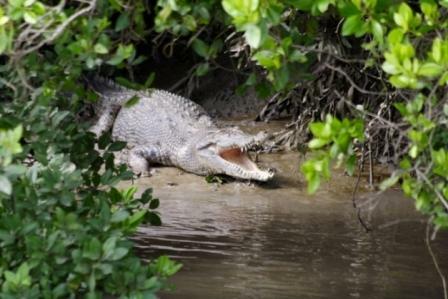 See crocodiles in the WILD! 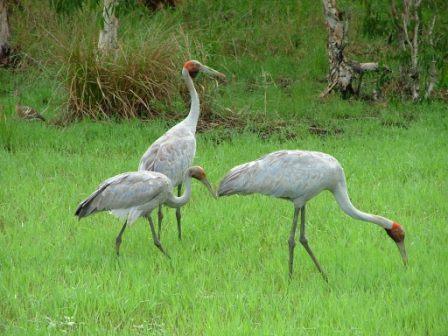 Whitsunday Crocodile Safari is a full day nature exploration into the estuaries and wetlands of the Whitsundays. 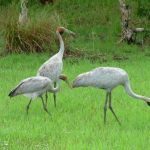 This is a fully guided and safe, Australian nature experience encompassing the unique tropical environment, home to many species of native birds (magpie geese, brolgas, kingfishers etc) mammals (wallabies, possums) reptiles, frogs and marine animals, including up to 150 estuarine crocodiles. 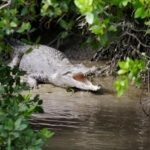 Included in the tour is a calm water cruise on Proserpine River with the opportunity to spot crocodiles in their native habitat. 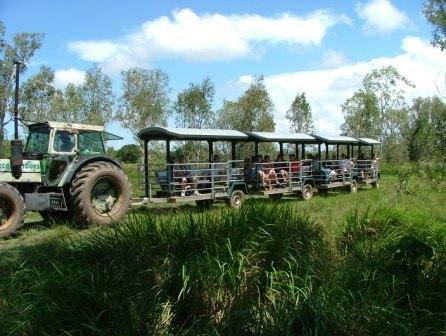 Next an open-air tractor-drawn wagon train ride through the nationally listed Goorganga wetlands. A yummy BBQ lunch at their campsite (with toilet facilities) Still hungry?? Enjoy – billy tea and damper cooked by the guides on-site. Comprehensive commentary delivered by their experienced local guides throughout the day. 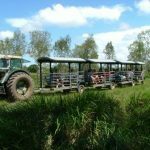 Whitsunday Crocodile Safari holds advanced eco certification with Ecotourism Australia, is a Green Travel Leader and has been operating since 2000. Sunscreen, insect repellent and a smile! Magnums Online Price $129 pp - Adult / $69 pp - Child (5-17 years) / $39 pp Preschool Age (1-4 years) 1.5% Credit Card Surcharge Applies (more info...).